Finding the kitesurf equipment you want in Costa Rica is not a problem, as long as you’re willing to hunt around and arm yourself with a bit of patience or flexibility. You can find locally produced kiteboards and plenty of options for gear rental, used equipment, repair/maintenance, but all the new kitesurfing gear is imported from the US, Canada, Europe, and Asia. 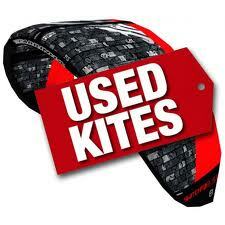 Read up below on several options for used kites, kiteboards, harness, and other equipment for sale in Costa Rica. While you’re considering your trip, find an instructor for kitesurfing lessons or simply review the places to kitesurf in Costa Rica. Remember that each supplier, kitesurf school, kiteboard importer, and pretty much anyone on this list usually covers only certain kiteboarding brands and stays in the same beach or lake spot. So, you’ll need to choose where you want to kitesurf in Costa Rica or make a decision as to where you’ll be so you can meet up and get your kite equipment. KitesurfinGroove kites, kiteboards, bar, harness, vests, lines, repair kits, sunglasses, kitesurfing apparel, hats, and other kite accesories. So far the only one with his own apparel line (KitesurfinGroove) and locally made kiteboards, Nicola offers a wide range of new kiteboarding equipment along with some used stuff and the necessary service for follow-up. Fanatic kites, kiteboards, bar, harness, windsurfing equipment, and other kite accesories. The best kitesurf equipment resource on Lake Arenal and Cabrinha experts for quite a few years. Peter has new and used equipment for sale with clearance every season for the used stuff. 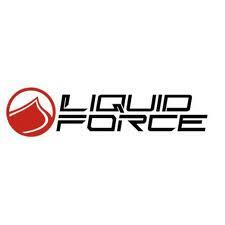 Also, he’s the best resource for windsurf equipment and has great rentals. and others… kites, kiteboards, and other kite accesories. 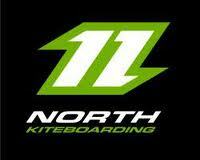 Cometa Copal Kitesurfing uses Cabrinha brand Kites exclusively. Bob’s wife is an incredible seamstress and the best resource in the country to repair kites and creative uses for kite material and sewing. CrazyFly kiteboards, kites, and other kite accesories. Kent runs the kitehouse, the kite school, and brings in some equipment for himself and other pre-orders. 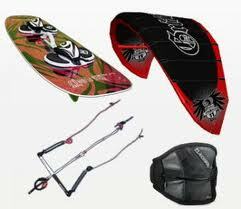 He sometimes has new and used equipment for sale and is a good resource for new kiteboards. You can sometimes find kitesurfing and windsurf equipment for sale through the local craigslist page for Costa Rica. 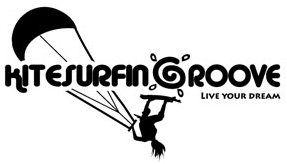 Visit this link for the Craigslist Costa Rica Kitesurf equipment page. You can also check out Tico Wind’s used gear page or any of these other resources.